Mackage is a fashion brand that creates contemporary outerwear. The store offers collections for men, women, and children and features intricate designs in leather, down, and wool. With Big Apple Buddy’s personal shopping service, you can now buy the latest pieces from the USA Mackage online store anytime, anywhere. Want a timeless and long-lasting jacket for your wardrobe? Browse Mackage’s collection of men’s and women’s leather jackets. Mackage has a vast selection of leather jackets to match your personal style and taste. These stylish and detailed designs are the perfect finishing touch to any outfit. Pair it with blue jeans for a classic look or throw it over a long, floral skirt for a look that’s feminine with an edge. 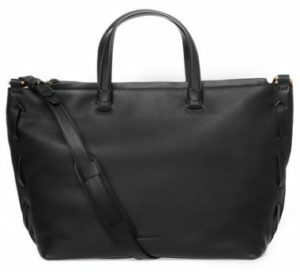 Travel in style with one of Mackage’s tote bags. The totes are comfortable and versatile, great for a regular day bag or as your vacation travel bag. Mackage even sells diaper bags for the fashionable, yet practical mom. More of a backpack person. Mackage has you covered with its selection of chic backpacks. Looking for something more unique in leather? 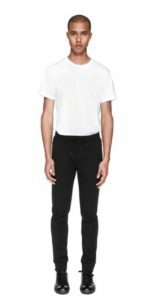 Check out Mackage’s men’s and women’s ready-to-wear products. 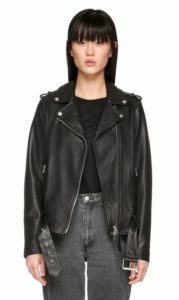 Mackage has everything for the leather lover, from leather skirts to leather pants. The leather pants even come in four different colors. Mackage stores are located in the US and Canada. The Mackage online store unfortunately does not offer international shipping. Not to worry though! Big Apple Buddy, your personal shopper, can help you buy products from the USA Mackage online store and ship them to your doorstep, no matter where you are in the world. We offer international shipping to over 110 countries including Australia, Austria, Azerbaijan, Bahrain, Belgium, British Virgin Islands, Brunei, Bulgaria, Canada, Chile, Costa Rica, Croatia, Czech Republic, Denmark, Estonia, Fiji, Finland, France, French Polynesia, Germany, Gibraltar, Greece, Greenland, Hong Kong, Hungary, Iceland, Indonesia, Ireland, Israel, Italy, Japan, Jordan, Kuwait, Latvia, Liechtenstein, Lithuania, Luxembourg, Macau, Malaysia, Maldives, Malta, Marshall Islands, Mauritius, Monaco, the Netherlands, Netherland Antilles, New Zealand, Norway, Oman, Poland, Qatar, Romania, San Marino, Saudi Arabia, Serbia and Montenegro, Seychelles, Singapore, Slovak Republic, Slovenia, Spain, South Africa, St. Lucia, Sweden, Switzerland, Taiwan, Thailand, the UAE, the UK, Vatican City, and Vietnam. If you would like to buy from the USA Mackage online store, simply let us know which items you would like to order (by filling out the form below) and we’ll get back to you with a free international shipping quote within 24 hours!